Are you a Startup company with a million and one things to do, but not enough hours to do them in? Or perhaps you’re already running a small business, but with all the regular day-to-day tasks you’re not able to develop a strategy for growth? What you need is time. Time to do those millions of tasks. By hiring a Virtual Assistant. 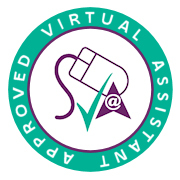 A Virtual Assistant can support your business, enabling you to concentrate on the important task of actually running it. Hire me, and you have an experienced, reliable, proactive VA who you don’t need to micro-manage. Not sure what you can outsource to a VA? Find out what services I can help you with here. Sarah has been a great help to our business, taking on lots of tasks that we just wouldn't have had time to do properly ourselves. She's fully capable of handling anything we throw at her and she has always delivered exactly what has been asked for without fuss. She is hard working, resourceful and a pleasure to work with. I wouldn't hesitate to recommend her to anybody that needs a helping hand with their business.